I've purchased a few of the Lego keychain minifigs. Each time I've bought a new one was to replace the previous one because it had most or all of the paint rubbed off from going in and out of pockets and whatnot. 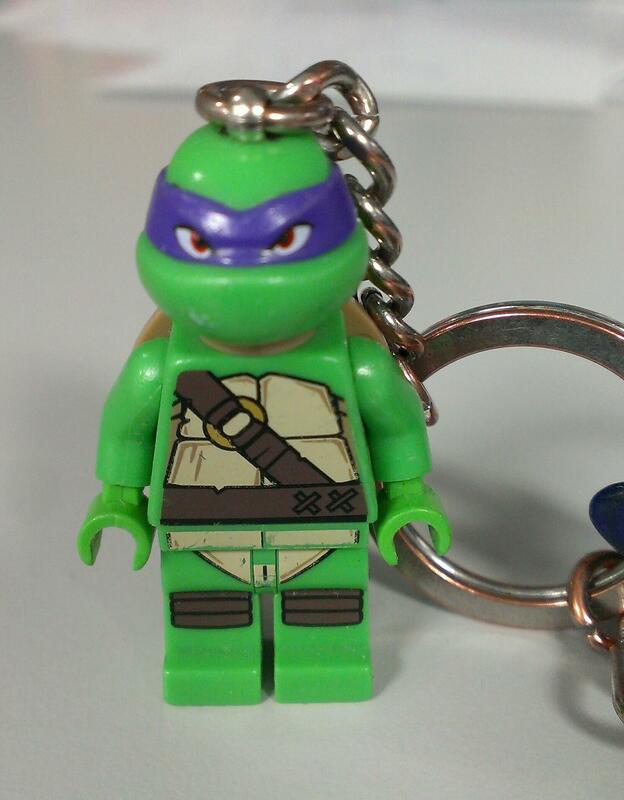 Here is my most recent example of the wear on my minifig keychain. You can see that the mouth is almost completely missing. Is there something that I can do to protect the paint and keep it from rubbing off? This guide here in the BrickJournal magazine has a section titled "Step Three: Protecting Your New Figure – Application of a clear top coat". It recommends Future’s floor wax or Badger overcoats and discourages the use of nail polish due to its tendency to yellow when exposed to sunlight. They suggest applying two layers, each dried with a hair dryer to achieve a smooth, bubble-free surface. Admittedly, these instructions are for display models, not figures that are going to endure the wear during play or everyday carrying along several keys, but these layers can be reapplied when they are damaged and will protect the figure and its paint while the overcoat is intact. zovits recommends not using nail polish. I once had a chipped tile floor that I painted with nail polish. It stayed looking good for over 5 years. This was in a high-traffic part of my kitchen. The polish stayed shiny and prevented the tile from chipping further. I suspect that a keychain probably isn't going to be sitting in the sun too much, but even so, the ABS plastic will discolour anyway, irrespective of the nail polish. I would think a clear coat of paint would protect it fairly well, until the clear coat rubs off, so you may need to reapply periodically or apply multiple coats. Just make sure whatever you use is approved for plastics and it should work fine. A thin coating should still allow most of the joints to work, if that isn't a requirement you could apply a thicker coating of a clear epoxy. Not the answer you're looking for? Browse other questions tagged minifigures or ask your own question. How can you remove a minifig from its key chain? Why do many minifigures have printing on their neck pegs?